BROWSE T-SERIES MODELSWHO USES THE T-SERIES? Made with high-quality 1K carbon fiber. 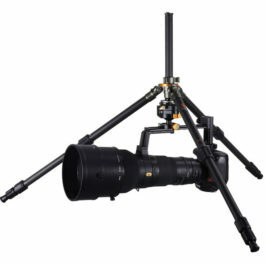 They're 20% lighter & stronger than ordinary carbon fiber tripods. 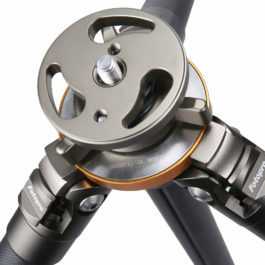 The quick adjust ring on the center column allows you to make height adjustments faster than ever. The tripod legs can be adjusted to 3 different positions based on the terrain you're working on. 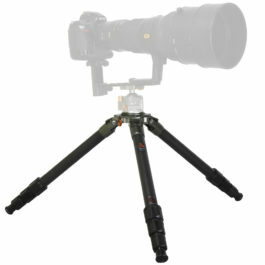 Designed with anti rotation technology to ensure your camera stays on heading while adjusting the center column. The hidden hook is available when you need it and conveniently out of the way for when you don't. 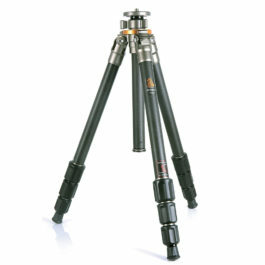 Each tripod leg has a spike with a rubber cover that is readily available for when you're on icy or slick surfaces. T-Lock technology allows you to extend or adjust each leg with a mere quarter turn of the adjustment ring. "The T-Series tripod is the strongest and most rugged tripod I've ever owned."